The following is an alternate scene and this entire story is based on the idea that in the Hercules episode "Armageddon Now [Part Two]" Iolaus did not just stand by and watch Xena The Conqueror break the rebellious Gabrielle's legs. I don't care what the circumstances are, that's just not the Iolaus I've been watching for the last few years. What follows is fiction based on those events and the characters we were introduced to from that episode. 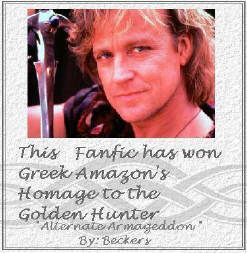 The following is fan fiction which includes characters from the television series' HERCULES: THE LEGENDARY JOURNEYS and XENA, WARRIOR PRINCESS. This story in no way intends to infringe on the rights of the writers and/or producers (or copyright holders) of said programs. No profit is being made from the distribution of this fiction. Please do not take anything from this and the following pages without the consent of Beckers. 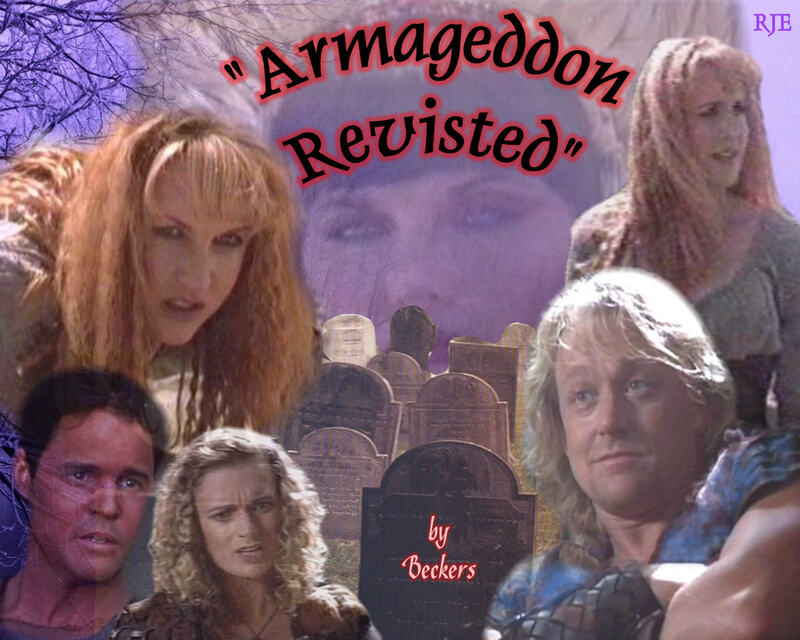 When you're finished reading "Alternate Armageddon" be sure to check out "Armageddon Revisted", the exciting new fiction that takes off right from where the original ended!